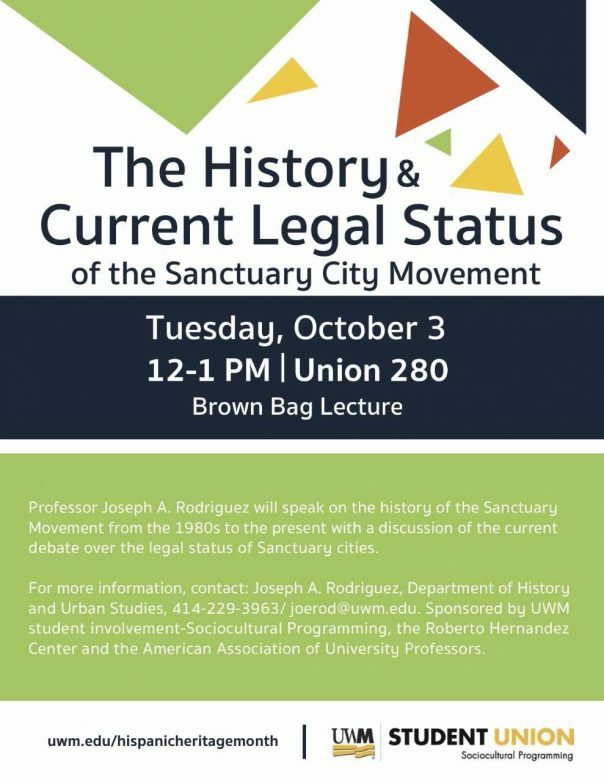 Professor Joseph A. Rodriguez will speak on the history of the Sanctuary movement from the 1980s to the present with a discussion of the current debate over the legal status of Sanctuary cities. For more information, contact: Joseph A. Rodriguez, Department of History and Urban Studies, 414-229-3963 / joerod@uwm.edu. Sponsored by UWM Student Involvement-Sociocultural Programming, the Roberto Hernandez Center, and the American Association of University Professors.